More than 700 people from the remote mountains of southern Taiwan have been found alive in a trio of villages flattened by mudslides. The survivors have been airlifted to safety after the region was hit by Typhoon Morakot and the worst flooding in half a century, inundating villages and cutting off all access by road. Over the past week, more than 100 people have been killed across Asia following two typhoons, Morakot and Etau. Morakot has killed 63 people in Taiwan alone. In Kaohsiung county, hundreds of people from several villages made it to higher ground before their homes were submerged. Among those feared buried but later found alive were about 200 people from Hsiao Lin, a village that was wiped out by a landslide, and several others from Namahsia village, officials said. The people had left the main village and moved to another. 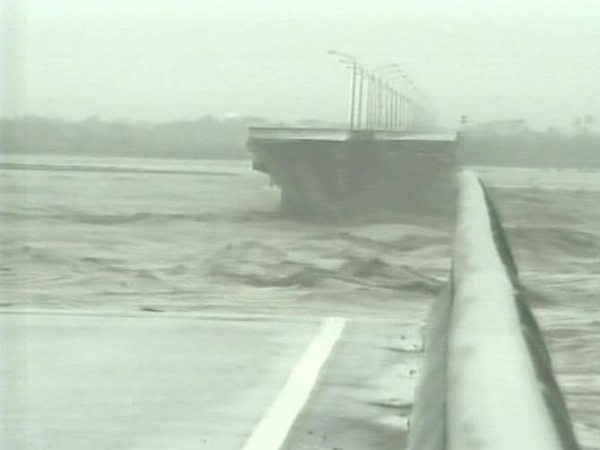 Typhoon Morakot has caused severe infrastructural damage across the island, with nearly 30,000 houses still without power and 750,000 homes without water. Elsewhere, Japan is continuing recovery efforts following Typhoon Etau and a 6.4 magnitude earthquake in the region. 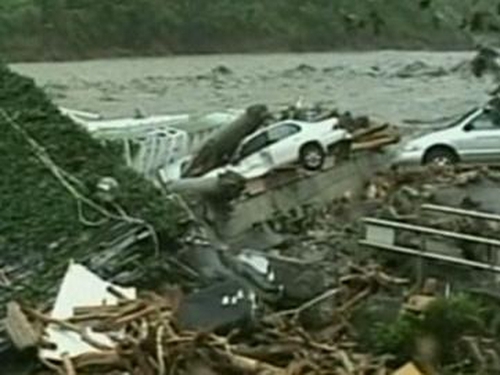 At least 15 people died in flash floods and landslides. In the flood-hit western town of Sayo, 400 rescue workers and troops are searching debris-strewn river banks for survivors or victims of flooding brought by the typhoon. 17 people are still missing nationwide. In coastal regions near Tokyo, where the earthquake struck, hospitals are still treating some of the 120 people injured in the tremor, while officials confirmed one death caused by the quake.